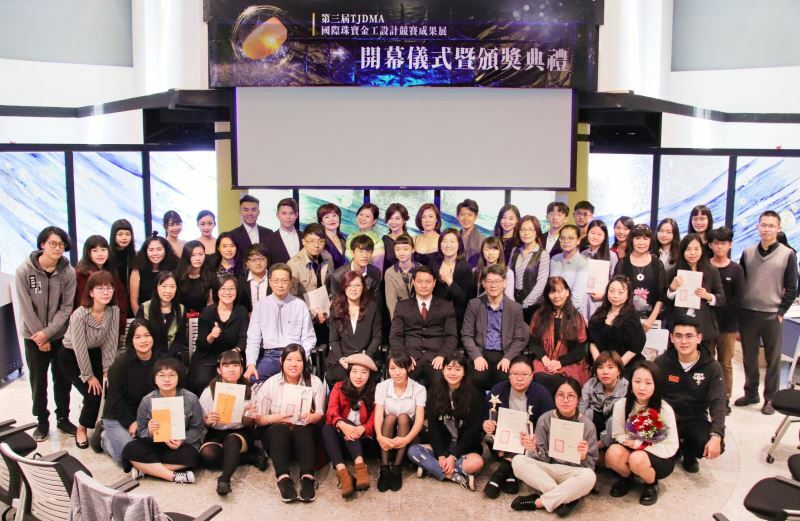 The Taiwan Jewelry Design & Metalsmith Association (TJDMA, 臺灣珠寶金工創作協會) held an awards ceremony on March 30 at the National Taiwan Crafts Research and Development Institute's Taipei Branch to honor the winners of the 3rd TJDMA World's Jewelry & Metal Design competition. Their works will be on display through May 30. Brimming with young, talented jewelry designers from Taiwan and other countries, the event began with a runway show featuring veteran models and deaf models coached by the Taipei Fashion Association (台北流行時尚藝術協會). 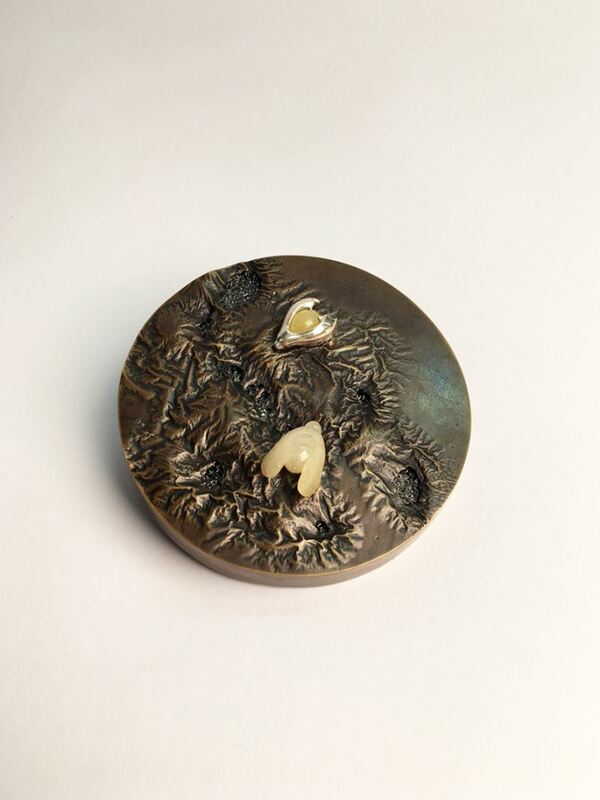 The 2019 competition featured jewelry and metalwork using canary stones provided by sponsor Shanghu International (尚虎公司) as the main material. 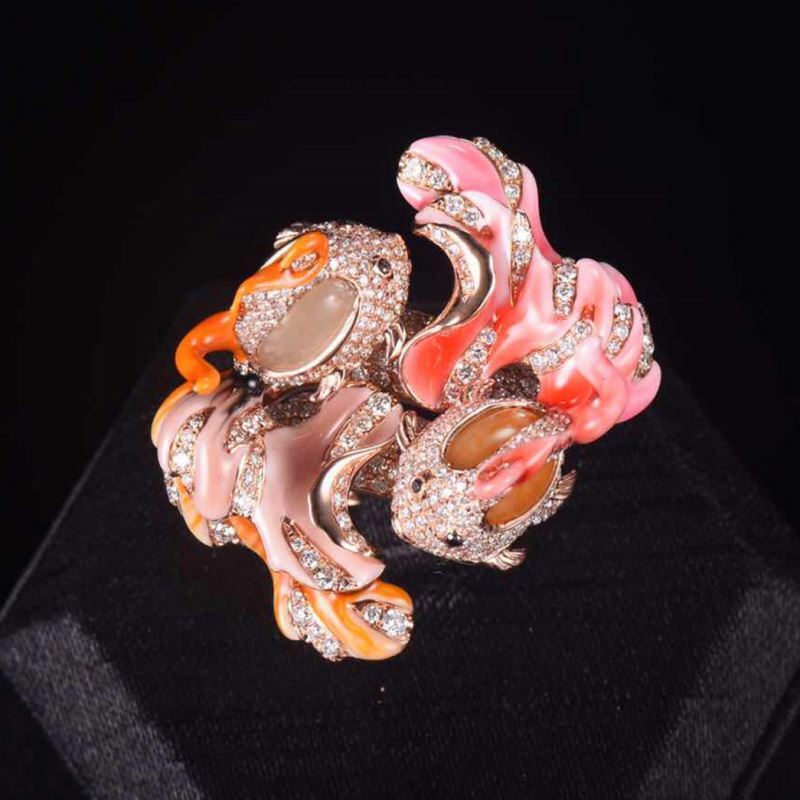 Over 400 submissions from professional and student contestants used the semi-precious gemstone to design their creative centerpiece interpreting the 2019 theme "Fate," resulting in 66 award winners that will be showcased on the third floor of the NTCRI Taipei Branch through May 30. A catwalk show was arranged at the start of the ceremony to display the winning designs. Among the models were Lin Yu-chen (林祐臣), winner of the Mister Asia title at the international beauty pageant Miss and Mister Deaf World in 2017; and Huang Tsan-huei (黃燦輝) and Wang Hsiao-ping (王筱萍), who were respectively crowned Mister Deaf and Miss Deaf at the 2018 Taiwan Deaf Beauty Pageant. 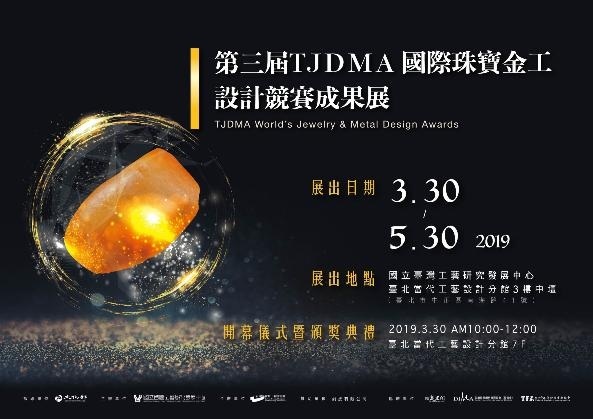 TJDMA, a trade body dedicated to promoting Taiwan's jewelry and metalwork worldwide, curated the annual design competition with the aim of identifying new talents and expanding international market share for Taiwan's jewelry design industry. Winning design from the professional group. Winning design from the student group. Visitors Today:163. All Time Visitors:1,229,970.